You know it's getting closer to springtime when the net starts to go brush crazy right? There's so many blush products being released for SS14 and I have to say they're definitely peaking my interest. As someone with naturally red-ish (not as red as they used to be) cheeks I never needed nor wanted to wear blusher, now as I get older I definitely feel I look healthier with a bit of natural dewy colour on my cheeks. 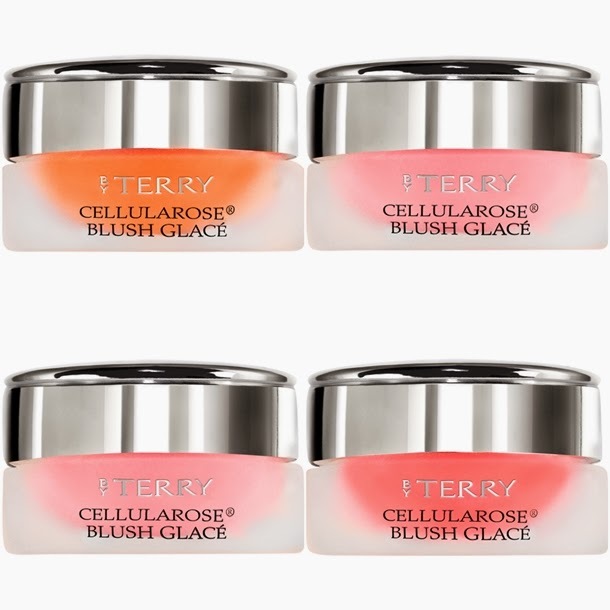 If you're a major blush fan then these premium By Terry Cellularose Blush Glace Blushers might be right up your alley. They're expensive let's get that out the way right now, but if you use blush and cheek colours regularly then price per use is totally fair isn't it. These are made with a water base which gives a natural but slight pop of colour, the formula can be described as a moisturising pigmented gel so you know it's going to leave you looking healthy, dewy and youthful. There's three shades in the collection Flower Sorbet (coral), Frozen Petal (baby pink) and Rose Melba (light rose). Each pot will set you back £38 and you can pick this up right now from Harrods here. Do you think you're going to splurge? have you ever spent more on a blusher before?